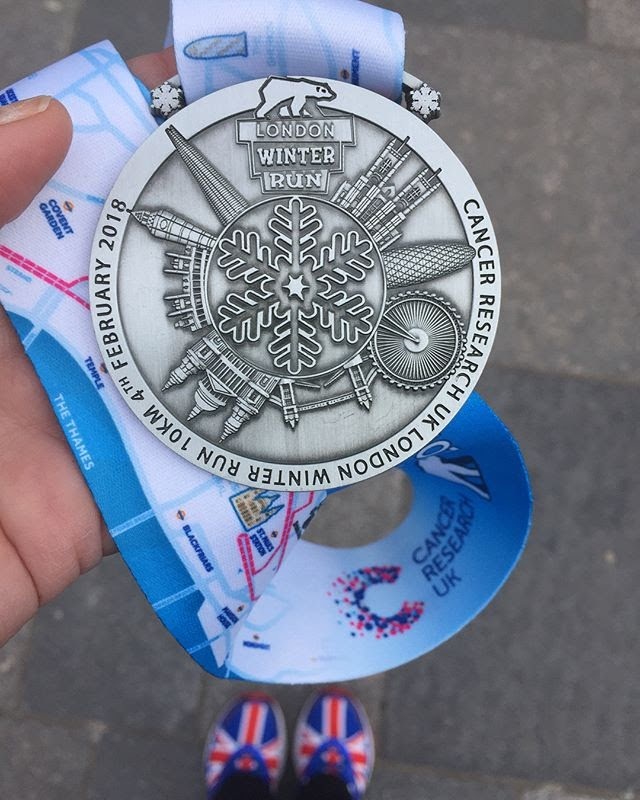 Back in August when we signed up for the London Winter Run 10K, it was sunny and warm. 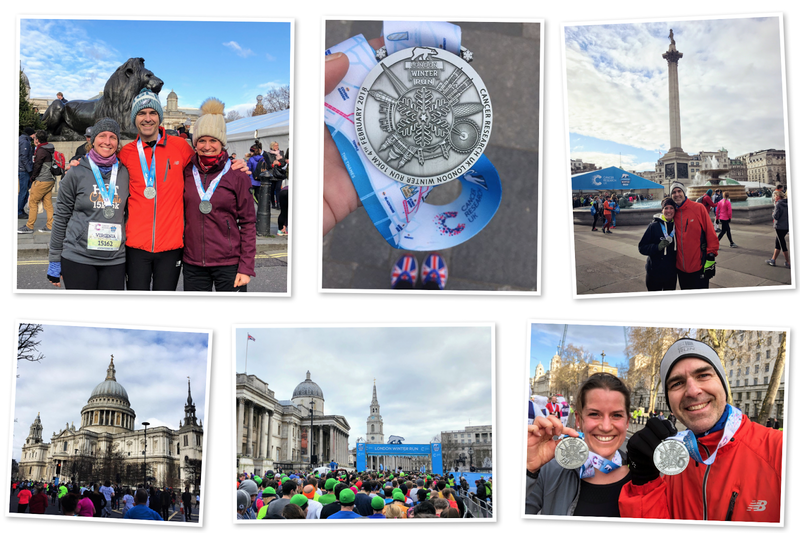 Perhaps the race organizers do this intentionally so that people don't think about how freaking cold it can get in the depths of winter in London. Between the winds and the temps, it was a pretty brutal morning for a race with temps around 37ºF / 3ºC and winds at a gusty 12mph. However, in central London anywhere near River Thames, the winds are often much higher and race day was no exception. 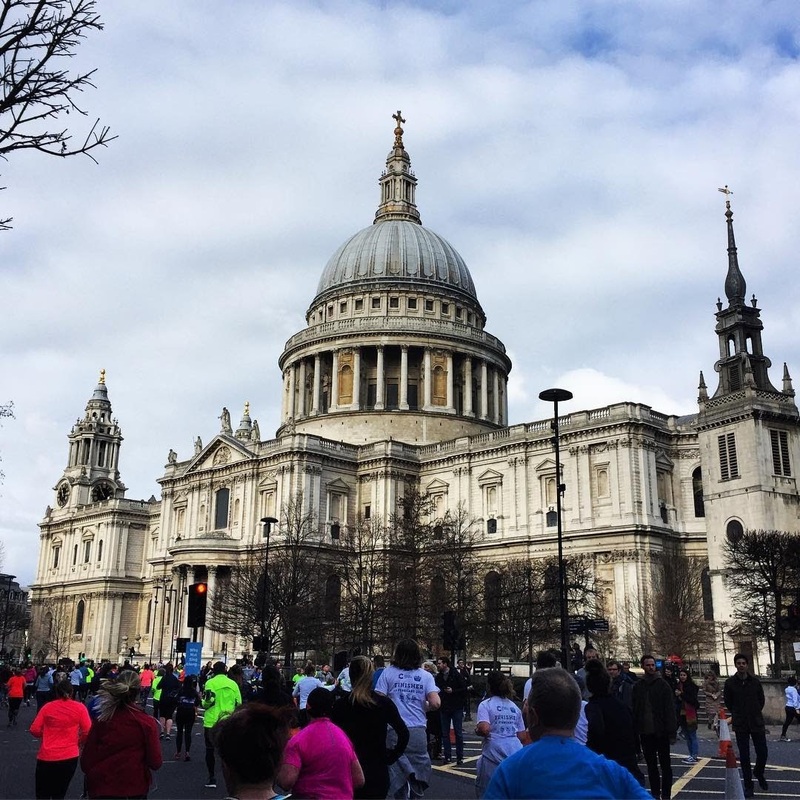 The route through central London is likely what attracted 16,449 runners. The race begins at Trafalgar Square, famous for often being the center of political demonstrations and anti-war protests. The route heads east past the Savoy Hotel and London School of Economics, out to the Bank of England before circling back past St. Paul's Cathedral. 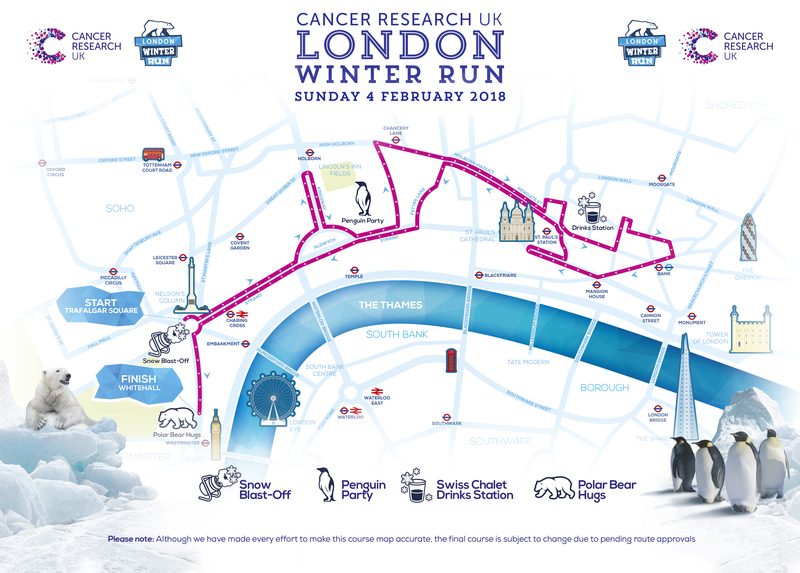 From there, the route heads back west to the finish, passing the London Stock Exchange and Somerset House. In the last, downhill straightaway, we passed Horse Guards Parade and 10 Downing Street before finishing at The Cenotaph, a war memorial erected for a peace parade following World War I. My great friend and partner on Makeover Monday (shameless plug that we're writing a book) was in London for the race and I served as her pacer. At the finish, we were greeted with "polar bear hugs" and even got a selfie with one. 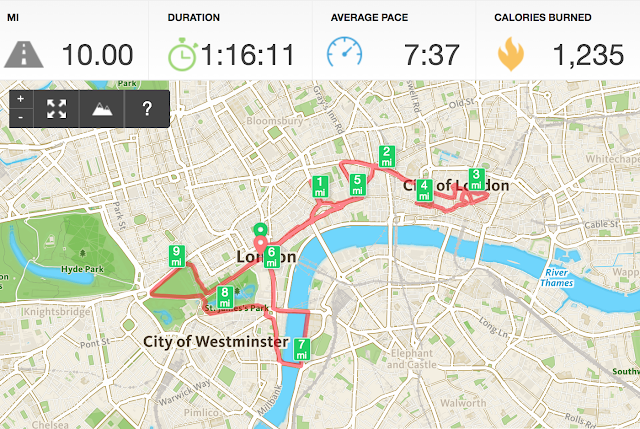 As I'm training for the Limassol Marathon in Cyprus in mid-March and since Beth's start time was 45 minutes after ours, I tacked on an additional four miles around Parliament, St. James Park and Green Park. I love my touristy runs! Though they're much less crowded at 7am. Right after I finished, I was able to catch up with my friend Rachel who smashed her personal best! I quickly changed my sweaty shirt and jacket (so I wouldn't freeze) and headed back out to find Beth. I was convinced I was in the perfect spot to see her come past, but somehow didn't see her in the sea of runners. I was pretty bummed about that; I wanted to get a picture of her finishing. Check out Beth's finishers medal and Union Jack running shoes!! Post-race we met back up with Eva so we could all celebrate together before heading back home. Despite the cold, this was a pretty fun race that I would highly recommend. It made me think back to my first 10K at the Peachtree Road Race in 2012 and helped me realize how lucky we are to be able to run in London and take in all the amazing sites it has to offer.